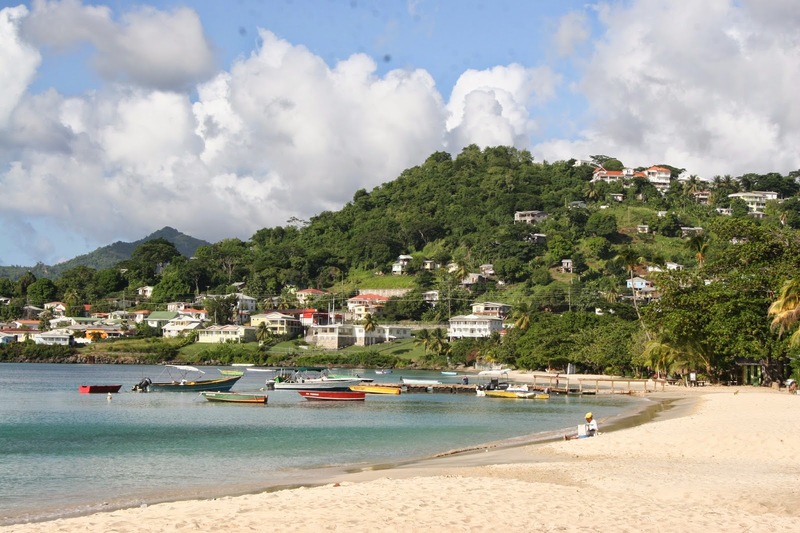 Grenada, The Spice Island was not on my wish list as a holiday destination. When my friend who lives there sent me an open invitation, how could I not refuse? 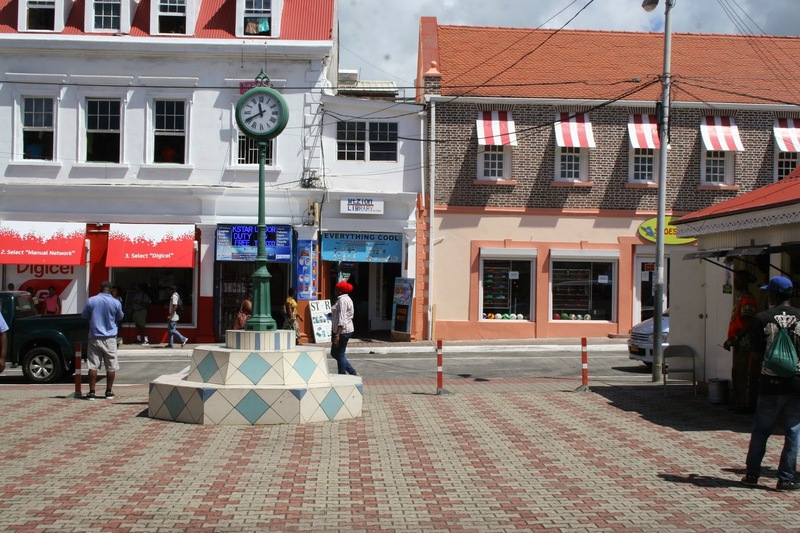 Walk side by side with the local, St George's the capital city with its harbour, colourful markets, banks and loads more. 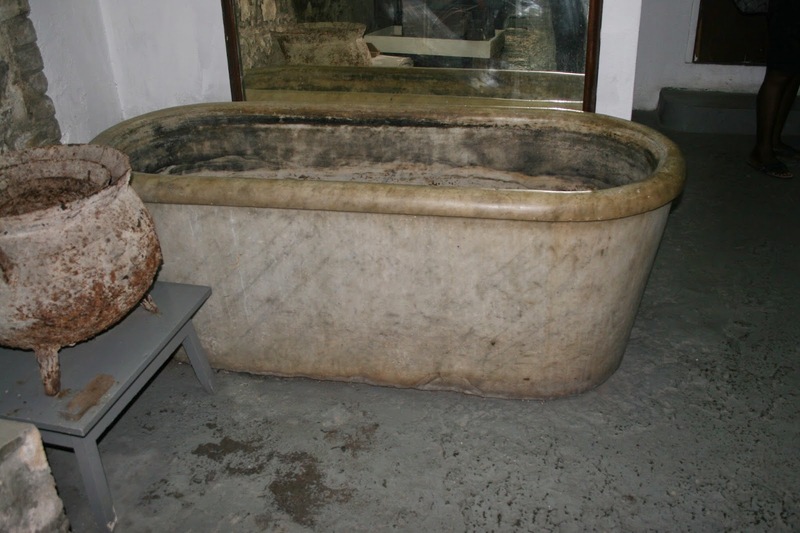 Napoleon’s wife bath carved from stone. It is thought that she indulged in sulfuric, volcanic water as there is still a residue inside. The bath is still active as if you were to touch it; the sulfur can burn with passion. 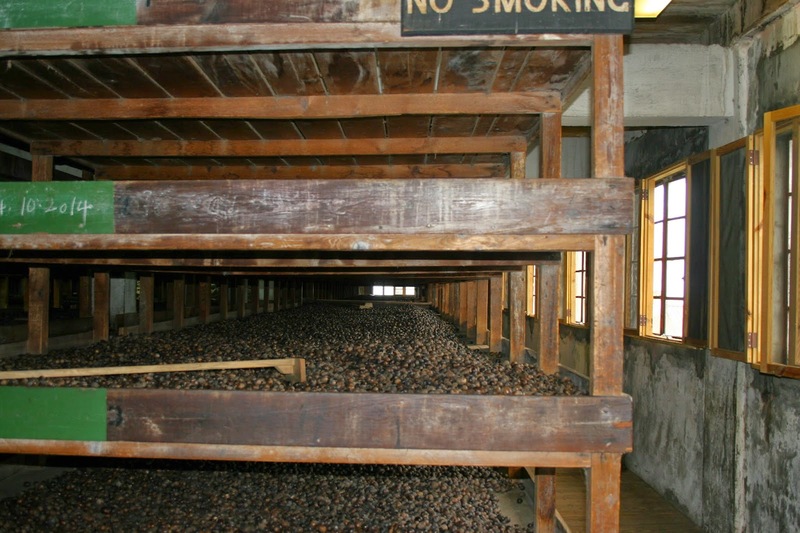 The nutmeg factory produces products worldwide. The process of refining has not changed, the structure of the factory and the work are straight out of Charles Dickens's novel. You can see infinite wooden trays of nutmegs that have to be turned twice a day to dry. Meanwhile there is a group of local women who speedily sort nutmegs and grade them as each size has a different worth. Grenada has many waterfalls hidden in its tropical rainforest foliage. Annandale Falls drops 9m (30ft) into pool that just wait for you to plunge in. There is a well kept ecological pathway with rare and exotic plants that leads to the Falls. Watch out for Acapulco divers dressed in yellow and green jumping from the top into the pool below. There is a medley of calypso, ladies in traditional dress carrying huge baskets of fruits on their head and local vendors. Live like a local take the bus. Taking the bus in Grenada is a real experience. These individually-owned vans with a capacity for 12 can exceed their number anytime. At the day of the journey you can be squeezed like a lime. Time does not matter here as bus would not leave until full. Sit back and enjoy the amazing views tearing down the mountainous road being inches from the edge. For $2.50EC it is an unique experience.